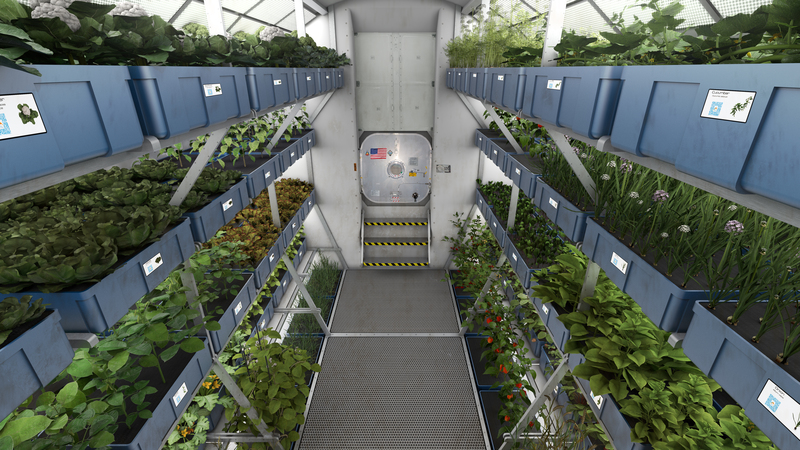 Space colonization seems far more feasible now that astronauts have eaten food grown in space at the International Space Station for the very first time. According to Yahoo! News, astronauts grew red romaine lettuce in a special box delivered to them via a SpaceX vessel, and on Monday, they were able to ingest it. Astronaut Scott Kelly reportedly said the food tasted "good" while astronaut Kjell Lindgren went as far as to call it "awesome." Once the seeds were placed in soil and fertilizer, an irrigation system sent water through the bottom of the plants in order to provide the plants the necessary nutrients, despite the lack of gravity. Kelly said the seeds were planted on July 8 and took 33 days to grow. Light was provided by red, blue and green LEDs, Daily Mail reports, and the plants were sanitized with citric-acid based wipes before ingestion. Food cultivation will be essential for lengthy trips lasting months or even years. On the way to Mars, and on the way back, we won't be able to get resupplies. We will have to be completely self-sufficient. Having the ability to grow our own food is a big step in that direction. Scientists believe the relaxation of gardening will also help an astronaut maintain his or her peace of mind during taxing missions. NASA's lead scientist for Advanced Life Support activities at Kennedy Space Center in Florida, Dr. Ray Wheeler, added food like lettuce and tomatoes contain antioxidants that could improve the moods of astronauts and shield them from radiation. The first plants to grow in space were harvested in May 2014, and they were declared safe following a series of tests on Earth -- but, they were never eaten. This recent crop will undergo analysis after the astronauts eat half of the harvest, according to NASA's official website.